Lawrence and Lisa met in high school band. 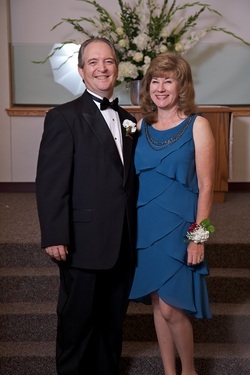 Last August marked their 34th wedding anniversary! Lawrence plays the bass; Lisa plays rhythm guitar, and they both sing. A family band was never a planned activity - the Lord just put it all together for us! One by one the children began taking music lessons, and by 2002 everyone was able to play together as a family. We've been blessed with some awesome music teachers - Mark Lehmann of LaGrange, TX, Kerry Jones of Alvin, TX, and Jimmie Don Bates of Austin, TX. Lawrence works as Operations Director for Faith Mission in Brenham, TX. Lisa is employed by Washington County Tractor. In between work, school, church activities and music, you can find our family at the nearest square dance! Even the kids are certified mainstream dancers. Jordan plays fiddle, mandolin, and dobro for the band. He began on the fiddle when he was 8 years old. He enjoys competing in fiddle contests throughout the state (and anyplace we are willing and able to travel!) In 2006 he placed 6th (out of 71 contestants!) 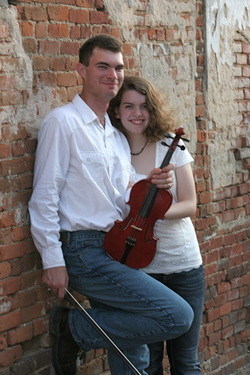 at the National Fiddling Contest in Weiser, Idaho, and in 2007 Jordan won the Texas Jr. Bluegrass Champion competition. On our first trip to Winfield, KS in 2008, he was a finalist in the fiddling competition, and in 2010 he won the Walnut Valley Fiddle Championship. He wrote "The Facebook Song," which won the New Song Showcase in the humorous division at the Walnut Valley Festival in 2010. He is a 2012 graduate of LeTourneau University in Longview, TX, where he earned his degree in mechanical engineering technology. He and his lovely wife, Rebecca, live and work in the Dallas area. Adam plays banjo, guitar, and sings. He wanted to learn the banjo at age 7, but was encouraged to start on the guitar first. He became the Texas State Banjo Champion at age 14, the youngest in the history of the contest. He is now a 3 time banjo champion, and won the 2017 Texas State Flat Picking Championship on guitar! In 2005 he copyrighted his first song, "The World's Still Turning," which is the title track to our 2nd CD. He has since written several songs, 2 of which are included on our most recent album, "Blue." Adam was a 2-time scholarship recipient to Camp Bluegrass in Levelland, TX. He has an Associates Degree from Blinn College. He and his lovely bride, Wednesday, live in Brenham. Mandy plays mandolin for the band and does the occasional twin fiddle tune with Jordan. She also sings, and loves to clog! Mandy began playing a little ukulele (strung like a mandolin) when she was 6. A year later she graduated to the mandolin. In 2006 she won 1st place in the Washington County Talent Show for her age division. 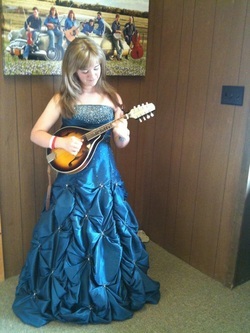 Mandy was awarded a scholarship to Camp Bluegrass in 2012. Mandy attended Montana Wilderness School of the Bible, and now enjoys her job at a local retailer in Brenham. Steven joined our family in 2006. He plays his guitar and drums for "select" audiences, and prefers rock music and his electric guitar and drums. He writes his own music and is learning how to record and mix his own songs. You can hear his guitar picking on the song "Jesus Loves Me" on our 2nd CD. Stephanie also joined the Greer family in 2006. 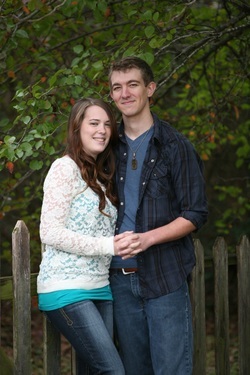 She enjoys singing, and you can hear her sweet voice on the song "Jesus Loves Me" on our 2nd CD. Stephanie loves to square dance, help in the kitchen, and is also quite an artist! She is very active with our church youth group, and loves her part time job with Faith Mission. there wasn't room on stage for all of us!